Check out Kelle's color options below. 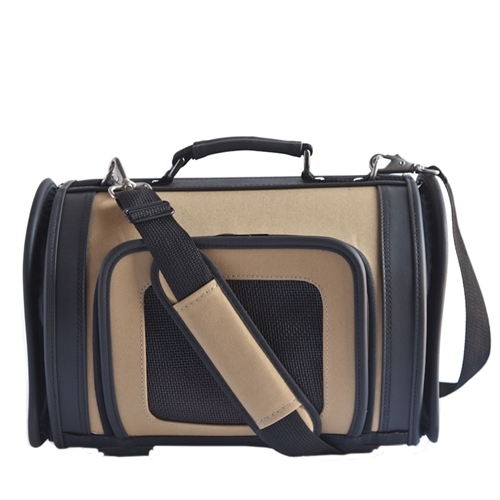 The Kelle bag from Petote is the perfect combination of style and function. 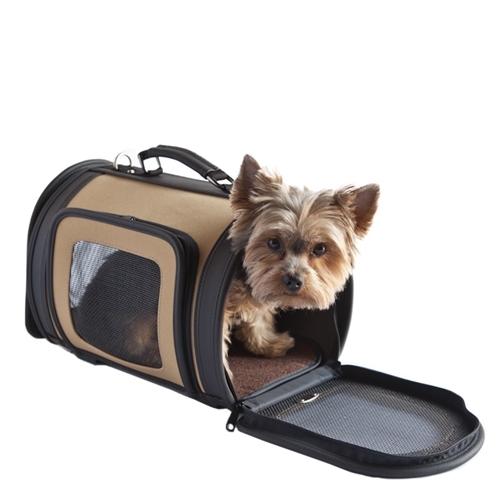 It is an excellent carrier for both dogs and cats. 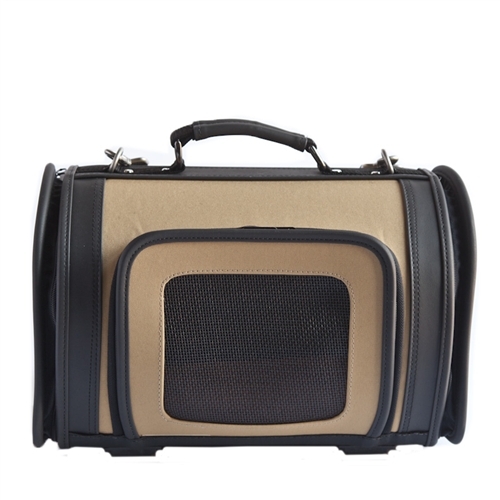 Petote Kelle Bag is ideal for flying as well as transporting pets to the vet. This non-collapsible carrier features front and side ventilation, front or side entry, adjustable padded shoulder strap which can also be used as a leash, custom hardware, and removable faux fur padding. Airline approved. Check out Kelle's color options.